The much envisioned Brong Ahafo Music Awards festival was eventually held on Friday 21st September,2018 at Tyco City Conference Centre in Sunyani. 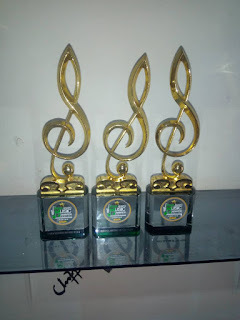 The graceful event saw a host of appearances of dignitaries from the Brong Ahafo Region including the chiefs and Queen Mothers in Sunyani.Gospel musician Joyce Blessing grabbed the awards for the overall Artiste of the Year, Gospel Artiste of the year and the Songwriter of the year out of the five nominations she had. 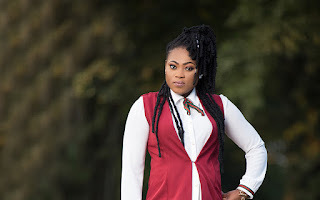 The Zylofon Music gospel star has taken to her instagram page to thank fans for supporting her in the competition .Joyce Blessing competed with the likes of SP Kofi Sarpong, Kooko, Rev Mrs Bossman, and more. The I SWERVE YOU hitmaker is doing implausibly great with her ministry and musical career as she recently won the Gospel Artiste of the Year at the Ghana Entertainment Awards in USA, bagged herself a recent nomination as the only Gospel artiste for the 3rdTV Music Video Awards, two(2) nominations at the Ghana Music Award UK, and Ghana Music Awards South Africa.